Taking Collagen protein both morning and night assists the body in building lean muscle mass faster than simply taking it once a day. 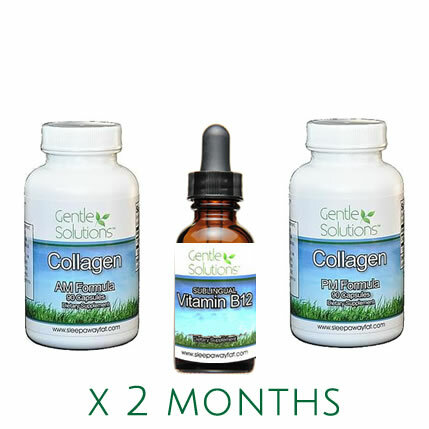 This package was designed to help promote increased weightloss and increase energy with the addition of the Liquid sublingual Vitamin B12 complex. After 3 weeks of taking this package I am finding I have more energy, I have lost 6 pounds and 2 inches off my entire body!! I\'ve even managed to go down and whole pant size!